Sea Land and Power Ltd argued that the wind farm near Gt Yarmouth would help to meet [national renewable energy] targets. In a judgment handed down at the Administrative Court [Judge Laing] backed both the local councils and conservation groups in rejecting the plans. “As a matter of law it is not correct to assert that the national policy promoting the use of renewable resources … negates the local landscape policies or must be given ‘primacy’ over them,” she said. Both Great Yarmouth Borough Council and a Government Planning Inspector kicked rejected the wind farm, finding that further turbines in the area would threaten its character and natural beauty. The Royal Society for the Protection of Birds (RSPB) expressed concerns about the potential impact of the wind turbines on important local populations of pink footed geese and marsh harriers, although the charity later withdrew its objections. 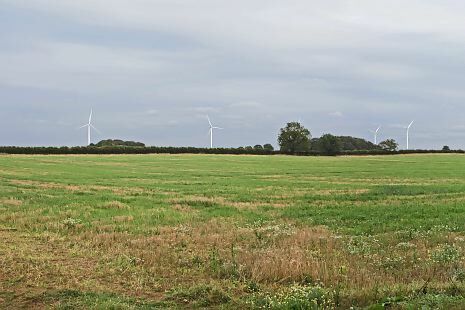 Despite recognising the benefits of wind generated power, she said the inspector was entitled to her view that they were, in this case, outweighed by the “material harm” the development would cause to the “character and appearance” of a sensitive area. “It is important we meet our climate change targets and wind is part of that but there are two environmental goods here – there is cutting carbon and there is the beauty and tranquillity of our landscape. We think it is possible to meet our targets without wrecking the countryside. Sea & Land Power and Energy Ltd’s wanted to erect four 344ft (105m) turbines near Hemsby, Great Yarmouth. The borough council refused the plan in 2009, over concerns about the adverse impact on the landscape. Mrs Justice Lang upheld the decision and said the government’s encouragement of renewable energy did not outweigh local conservation policies. She rejected Sea & Land’s arguments that the council planning inspector had ignored the government’s target that 17% of the region’s energy needs should be met from renewable sources by 2020. She said it was a legitimate exercise of planning judgement. It contended that the proposed development was not contrary to local policies NNV2, NNV3 and NNV7, since the landscape and visual impacts were only significant in the immediate vicinity of the site, and so it was not in breach of the Development Plan. In the alternative, it submitted that other material considerations strongly supported the grant of planning permission, referring in particular to PPS22 on renewable energy and the supplement to PPS1, which advises planning authorities on how to promote and encourage renewable energy generation…. The exercise of planning judgment and the weighing of the various issues are entirely matters for that decision-maker and not for the Court: Seddon Properties v Secretary of State for the Environment (1981) 42 P & CR 26, at 28 and Tesco v Secretary of State for the Environment  1 W1.R 759, at 780. In the latter case Lord Hoffmann said “If there is one principle of planning law more firmly settled than any other, it is that matters of planning judgment are within the exclusive province of the local planning authority or the Secretary of State”…. The Claimant submits that the Inspector failed to take into account the material issues raised by the RSS because she did not refer to the regional targets. Nor did she refer to the regional deficit in meeting the targets for renewable energy, and the extent to which this development would help to reduce the deficit. In my judgment, paragraph 26 of the decision letter shows that she did take these issues into account. She identified the contribution which this development would make to the energy needs of the area (5500 homes/14% of the needs in the Council’s area) and she accepted that it “would play an important part locally” in meeting “the Government’s targets for a renewable energy supply”. The phrase “the Government’s targets” includes the specific targets in the RSS, as well as the more general national targets…. The Claimant submits that the Inspector’s reasons were inadequate without a more detailed reference to the deficit and the contribution this development would have made to its reduction. It was argued that this was the central issue on the appeal, and the Claimant did not know why it had lost on this point. Applying the well-established principles set out …above. I consider that the reasons in the decision letter were adequate. I accept that they were not as legalistic or comprehensive as the reasons given in the other examples of decision letters shown to me, but nonetheless they met the minimum standard required by law…. The Claimant’s third ground of appeal was that the Inspector failed to give “primacy” to national policy, in circumstances where there was a conflict between local plan policies and national policy. The Claimant submitted that the local landscape policies are inconsistent with PPS1, paragraph 22, because they restrict development. In particular, NNV7 prohibits development in the countryside unless it is in keeping with the rural character of the area. A wind turbine development by its nature is unlikely to be in keeping with the rural character of the area so that if NNV7 were to be applied without the necessary regard to the provisions of PPS22 and the Supplement to PPS1 it would effectively create a bar to wind farm development in rural areas. In my judgment, the Claimant’s analysis was misconceived, for the reasons given by the First Defendant. Thus the legal position is that the statutory presumption lies in favour of the statutory development plan unless material considerations indicate otherwise. National planning policy is a material consideration. Where national policies change, this can amount to a material consideration of sufficient weight to reach a decision other than in accordance with the statutory development plan but this is not mandatory; rather it involves a balancing exercise for the decision-maker, in this case the Inspector. As I have already explained, as a matter of law it is not correct to assert that the national policy promoting the use of renewable resources in PPS1 paragraph 22 negates the local landscape policies or must be given “primacy” over them. As the First Defendant submits, this is simply a case of policies pulling in different directions: harm to landscape and the benefits of renewable energy. The Inspector was required to have regard to both sets of policies and to undertake a balancing exercise. The judge has simply reinforced existing law. Far more will be made of this case than it merits. It will be used by some cllrs, as the MP above implies, as licence to state local landscape policies outweigh national targets. Of course those local plan landscape policies need to be in place. This will be to entirely miss the judges point that the two issues should be weighed and balanced. If the impact on the landscape is high and gain for carbon free energy low a refusal will be safely upheld, as will an approval where the reverse is the case. Explorers must address social and environmental concerns over shale gas extraction if the unconventional fuel is to thrive, the International Energy Agency has said. Launching a new report by her agency on the issue, IEA executive director Maria van der Hoeven said the technology was available for environmentally – responsible production of unconventional gas. However, she warned that “if the social and environmental impacts are not addressed properly, there is a very real possibility that public opposition to drilling for shale gas and other types of unconventional gas will halt the unconventional gas revolution in its tracks”. “The industry must win public confidence by demonstrating exemplary performance, and governments must ensure that appropriate policies and regulatory regimes are in place,” she added. The report, Golden Rules for a Golden Age of Gas, sets out a list of recommended measures to ensure best practice. These include: full transparency, measuring and monitoring of environmental impacts; engagement with local communities; careful choice of drilling sites and measures to prevent any leaks from wells into nearby aquifers; rigorous assessment and monitoring of water requirements and of waste water; measures to target zero venting and minimal flaring of gas; and improved project planning and regulatory control. Hoeven said the IEA’s approach had already been endorsed by G8 leaders at their recent Camp David summit. IEA chief economist Fatih Birol, the report’s chief author, said the agency estimated that the additional measures could add an extra 7% to the cost of a single shale well, but that this rate would be much lower for a typical larger development. He said that unconventional gas production could triple to 1.6 trillion cubic metres globally by 2035 if the rules are followed, but that if they are not shale gas production may remain static in future, weakening the ranking of gas in the global energy mix as prices rise. I wish to invest in a new Garden City in the UK, please tell me the steps I will have to go through. We of course in England have no specific system for the approval of, or even the need for, major housing and mixed use projects of larger than local scale. And we wonder what the problem is. The failure is a failure of regulatory design not because regulation is the problem. 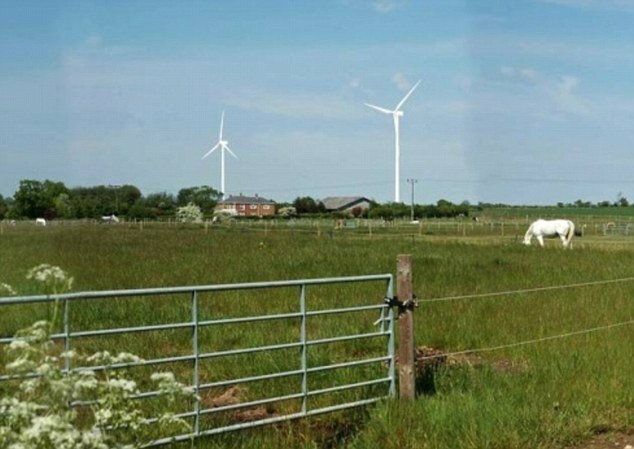 Two nearby windfarms in Northwest Norfolk have been permitted after a c0 joined appeal. assessed needs in the terms of paragraph 14 of the National Planning Policy Framework. Whilst the regional targets themselves may go as and when the Plan is revoked, the need to develop renewable energy will not disappear. The evidence base that underpinned the EEP targets can remain relevant, as the Government confirmed when it first proposed the abolition of regional plans in 20101. A 2003 landscape character assessment stated that both sites had a ‘high’ capacity to accommodate a ‘small scale’ turbine group. On the issue of impact on heritage assets the inspector leaves in a few stray references to PPS5 but this makes little difference as he acknowledges that the policy on the setting of heritage assets is substantially the same in the NPPF. They concluded that here would be a moderate but less than substantial adverse effect on the setting of an ancient monument hillfort 2.5-4.5km away. the few points within the park at which the Chiplow turbine blades might be seen, they would distract attention away from what is otherwise a complete and substantially unchanged 18th century park. As the setting is so original and intact, any modern intrusion into the setting would risk some harm to the park’s setting and heritage significance. However that harm to significance would be minor and not substantial as the turbines would only be visible from some parts of the park (particularly in summer when the park is open to visitors and the trees are in leaf), would not intrude on any important planned or open vista, and would appear as relatively small features at this distance. There was considerable debate about collisions with Pink Footed Geese, a natura protected species which migrate to a nearby SPA. Indeed local protesters had dressed up as these Geese. The number of anticipated collisions was around the 1-2% mortality rate of significance however a novel mitigation scheme involving rotated sugar beet was proposed. The inspector crucially concluded that the scheme met the Waddensee test, but it was unclear from the decision letter if this was before or after mitigation. The core strategy was recently adopted and the inpector balenced its policies on renewable energy and local landscape. I conclude here on the evidence before me that the benefits of both appeal schemes clearly outweigh the individual and cumulative identified harm.In the terms of the local Core Strategy Policy CS08 the locational and other impacts are thus not unacceptable as they are here outweighed by wider environmental and economic benefits. Similarly the public benefits here outweigh the modest loss of interest or significance of environmental assets in the terms of local Core Strategy Policy CS12 and the National Planning Policy Framework (as carried forward from the previous PPS5 Policy HE.10). Both appeal proposals are therefore in overall accord with the local development plan and with regional and national policy. The Framework urges at paragraph 14 that, for decision-taking, the Framework’s presumption in favour of sustainable development means that development proposals that accord with the development plan should be approved without delay.